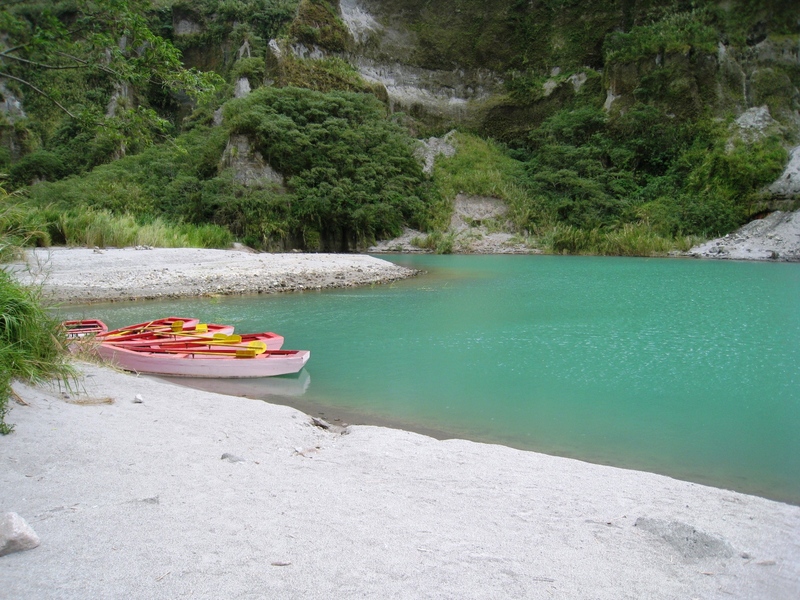 For many Filipinos, Mount Pinatubo conjures images of disastrous volcanic eruptions. It is one of the more popular volcanoes we have together with Taal and Mayon. And like these other two volcanoes, its fury proved explosive and devastating. I was in elementary school (Grade 5 to be specific) when Mount Pinatubo’s climactic eruption happened in June 15, 1991. I remember waking up to an unusually dark morning. The ubiquitous ashes due to the eruption made it difficult even for the sun’s light to pass through. This caused the gloomy atmosphere of dark days that followed. The colossal eruption is considered the second largest volcanic eruption of the 20th century. (The largest one happened in 1912 in Alaska.) The effects of the eruptions were widespread. The temperature of the world decreased by 0.5 C and ozone depletion rate spiked temporarily. It would have been just a spectacular incident if only it was not too catastrophic. Over 800 people died, 2.1 million people were affected, 1.5 billion pesos of agriculture was destroyed, 8000 houses were obliterated, 73000 homes were damaged, 12 billion pesos of infrastructure lost. It was one of the most disastrous natural calamities that our country and its people have ever endured. That’s why Mount Pinatubo, at least to those old enough, was etched in our memory. We will not forget what happened because it is already part of our nation’s history. And for many, it is part of their life stories as well. Not a few, unfortunately, have bad stories and memories of the eruption they wished they never had. But as a people, Filipinos are resilient. Calamities still come our way and we face them head on. We learn from our mistakes and move on. What we want is to become more prepared when the next daunting challenge attempts to break our spirit. Personally, I think it’s worth our time to at least reflect on what happened. Events shape every society’s identity and development. 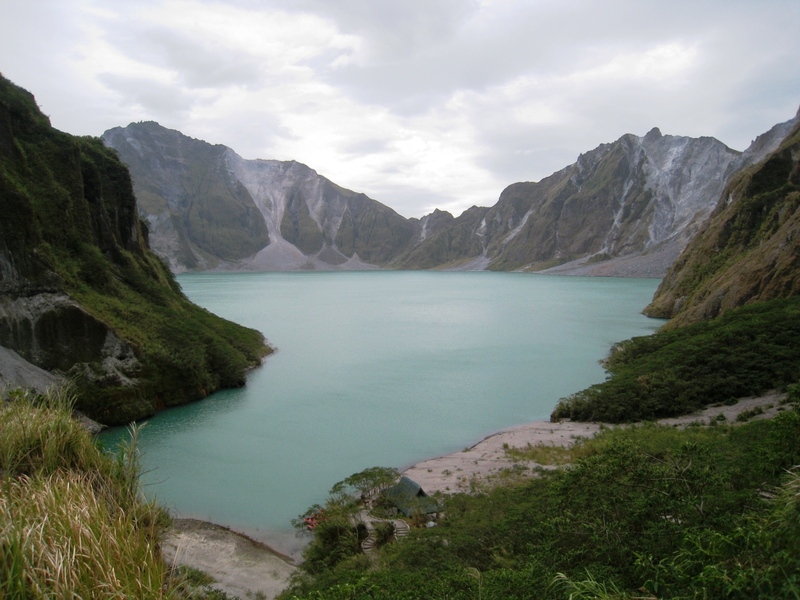 Mount Pinatubo is a place where a hugely significant event occurred. I was fortunate to have the opportunity to see Mount Pinatubo a few days ago. The journey was long and difficult. 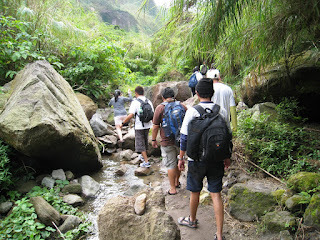 Together with friends, we had to ride an off-roader then walk for two hours to get to the volcano’s crater. The way was dangerously rocky. There’s always the risk of landslides piling on top of adventure seekers. But the destination proved to be worth the effort. The sheer beauty of the place was breathtaking. I understood why people would pay money and endure difficult hikes to get the chance to see the crater of Mount Pinatubo. The crater lake is shown on the photo below. But more than seeing the beauty of the lake, the journey was both meaningful and enlightening. The difficult long and treacherous walk is just a small taste of how our fellow countrymen fought for their survival during the eruptions. We could devote our trekking efforts in honor of their hardships (for those who did survive) and of their memory (for those who died). The enjoyable scenery of the beautiful crater lake shows how good things can still happen after disastrous calamities. It gives hope to those of us who continue to face difficulties. Recent earthquakes, flash floods and typhoons have shown us adversities are not over. They will continue. But the tough trek to Mount Pinatubo could just be the experiential reminder that we need. It may just enlighten us on how our difficult journey could sometimes be setting us up for a better future - a different future that we have been hoping for and dreaming about. Despite all these challenges, we have reasons to press on and continue. It's about 5:40 am US Eastern Time, as I write this. I was at the tail-end of praying this morning, having thanked Him for being alive, for having my wife, family, friends, co-workers, for helping & protecting us in ways we (often) don't even se. And then I did something that (admittedly) I often forget to do. I said, "God, do you have anything that you want to tell *me* today?" After a few minutes, a thought popped in my head..."Mount Pinatubo." At first, that seemed odd..."Mount Pinatubo??" So, I did a quick Google search, and picked 2 links (totally at random) to read. The first link was a Wikipedia entry, which captured all the history of the devastation. Lot of doom & gloom...not much inspiration there, for me at leat. The second link was yours. There's a lot of wisdom & truth in what you wrote! Now I understand why God prompted me in that manner. I found this part of your post the most profound, "Calamities still come our way and we face them head on. We learn from our mistakes and move on. What we want is to become more prepared when the next daunting challenge attempts to break our spirit." It was profound for me to see/read your posting here because, just within the past 48 hours, (totally by coincidence) I've heard or read many references with the same theme. We often don't know how or why some things may happen in life, but we do know we've been given the strength to get through it. And, once we've gone through, we can remember & reflect (and be thankful) that we made it. We can also be a guide to help others through their troubles. God hones our faith through trials. A very long comment, but I want you to know...perhaps you were fortunate (blessed!) to survive that devastation over 20 years ago, so you could reflect on it this year...to look back and give thanks...and help other people realize that sometimes good things, even beautiful things (like the crater lake you described) can come out of the worst circumstances. May God continue to bless your family and you, and carry you all safely through any difficulities you may encounter, so you can continue to bless others through your words & example.